Towering mountains and beautiful national forests make Issaquah a great choice for anyone who loves hiking, climbing, and walking. This beautiful town in Washington state is home to just 40,000 people and offers a huge selection of outdoor activities. Visitors to the town love the Cougar Mountain Zoo and the Village Theater too. Issaquah is also a great place to be when a dental emergency strikes. A large selection of local dentists are always standing by to make your dental problem a thing of the past. The Emergencydentistsusa.com website is a great location to begin and end your search for a new emergency dentist. Our website offers you a glimpse of each of the best dentists in the Issaquah area. 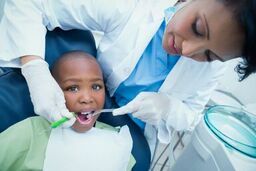 Just scroll through the comprehensive list and click on the dentist with office hours or services that suit your needs. The Emergencydentistsusa.com website provides you with information that includes driving directions, insurances accepted, and even office services so that you can make a great decision about your dental health. When you need to speak to a live person to make your dental choices easier, call our toll-free dentist finder hotline. This 24-hour services connects you with a caring agent who is standing by to set up your first dental appointment and offer you driving directions. Remember to bring your dental insurance card and photo ID with you to visit your Issaquah emergency dentist. Arrive at the office at least 15 minutes early so that you can fill out the new patient paperwork. Issaquah is a beautiful Washington town with a rich and varied history. It is also a great place to be when a dental problem derails your vacation plans. Scroll down to see the top three Issaquah emergency dentists below. Description: This leading Issaquah dental office focuses on overall oral health along with cosmetic and restorative dentistry. Dr. Vanama works hard to provide each patient with a happy and comfortable dental experience. Flexible office hours make it simple to get that dental appointment finished quickly. Description: A large dental staff and a comfortable office make Issaquah Highlands Dental Group a favorite in the Issaquah area. Here you can find general dentists, oral surgeons, periodontists, and caring hygienists. Convenient office hours make this dental clinic great for any dental emergency. Description: From affordable sedation to a stunning transformation, Issaquah Valley Dental Care is a great choice for the entire family. This office offers holistic dental treatments along with single tooth anesthesia in a relaxed atmosphere that recognizes your individual needs. Dr. Ashi and Dr. Arti work hard to provide you with exceptional dental care today. Tooth pain can ruin even the most amazing vacation. When your tooth pain lasts for more than an hour or two, it is time to head to your Issaquah emergency dentist to have that pain addressed. If your tooth pain begins with an accident like a fall or a sports injury, visit the nearest hospital emergency room or urgent care center as quickly as possible to ensure that you are healthy enough for a dental visit. Once you are treated by the medical doctor, you can visit your dentist to get rid of that tooth pain. The Washington State Dental Association website is a great place to learn more about your new Issaquah dentist’s current licensing and credentials. Just log onto the website and enter your dentist’s name into the search box. View current licensing and credentials right online from your own computer. You can also see these types of documents when you visit your new dental office prior to your first appointment. Always choose a dentist who is licensed to work in the state of Washington.